This Stone Roses pencil drawing has been drawn by Mark Reynolds. Using the best T-Shirt printing process (Direct to Garment) we are able to reproduce this drawing onto T-Shirts and Hoodies. 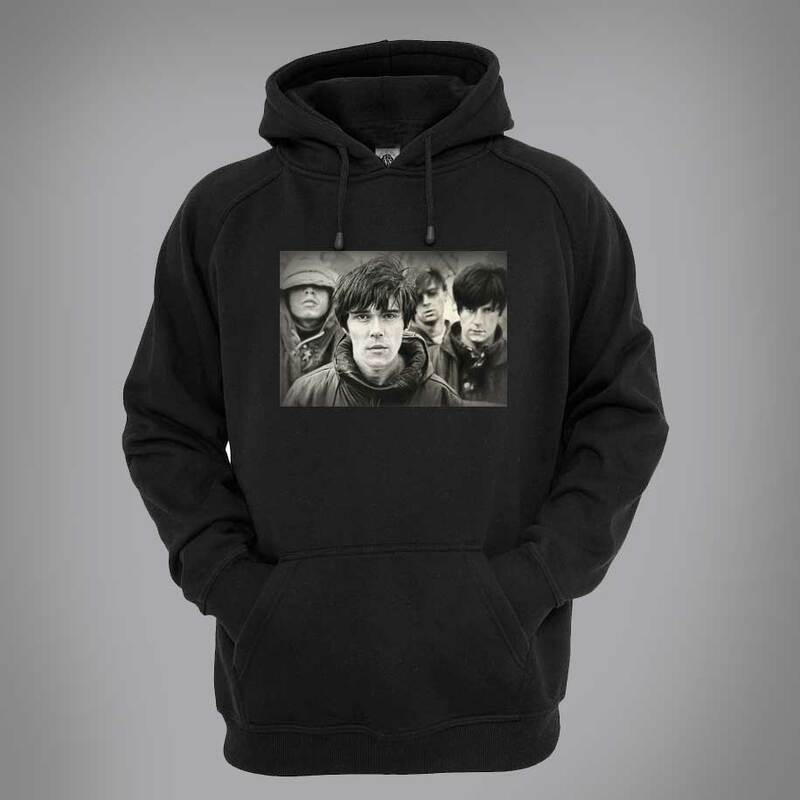 This Hoodie is available in a wide range of colours and sizes. It is exclusive to Mr Art’s range and can only be purchased from this website. On 2 December 2011 Ian Brown and John Squire performed together live for the first time since 1995. They joined Mick Jones from The Clash, The Farm and Pete Wylie at the Manchester Ritz in aid of the Justice for Hillsborough campaign. They performed on versions of The Clash’s “Bank robber” and “Armagidion Time” as well as The Stone Roses’ “Elizabeth My Dear”.On 23 May 2012, The Stone Roses held their first public concert since their reunion, playing an 11-song set before 1000 fans at Parr Hall in Warrington. The show, which was only announced that afternoon, was free to attend for those who brought a Stone Roses CD, LP or shirt with them.